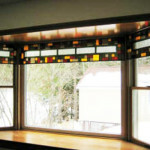 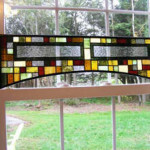 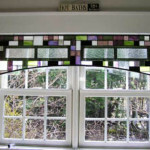 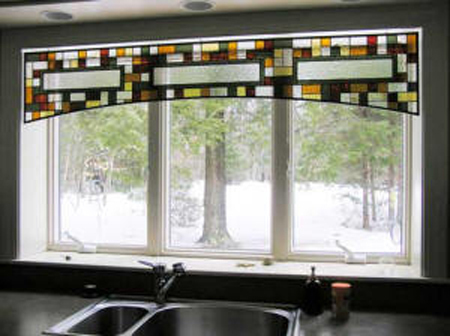 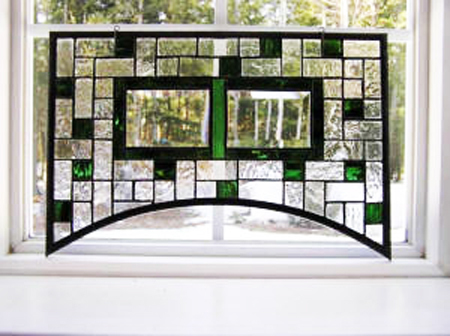 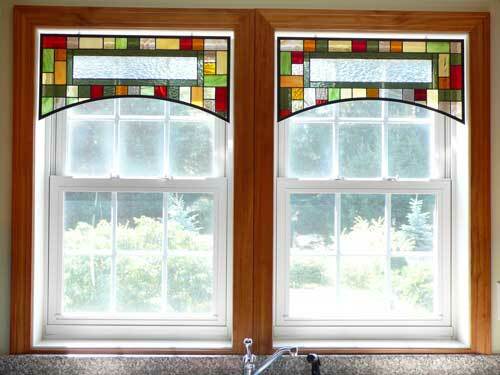 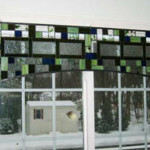 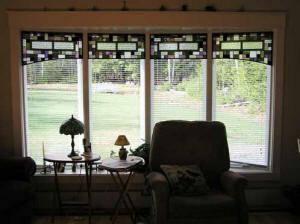 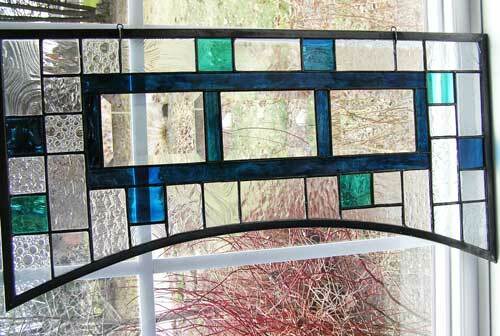 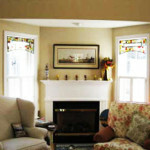 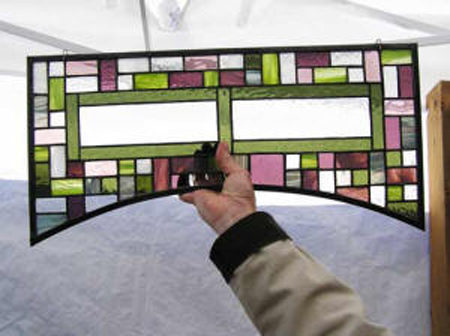 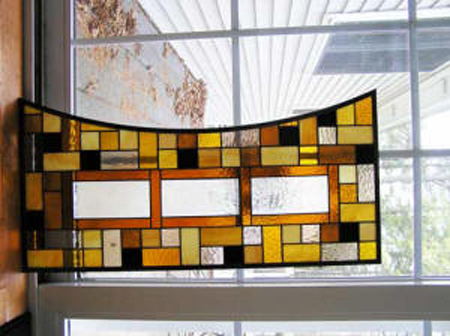 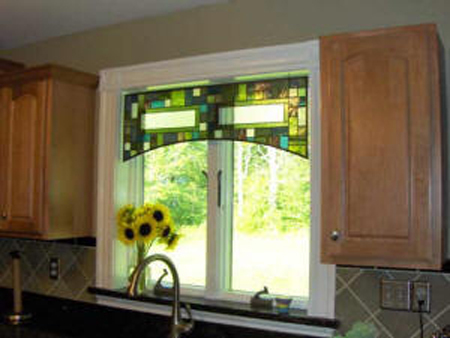 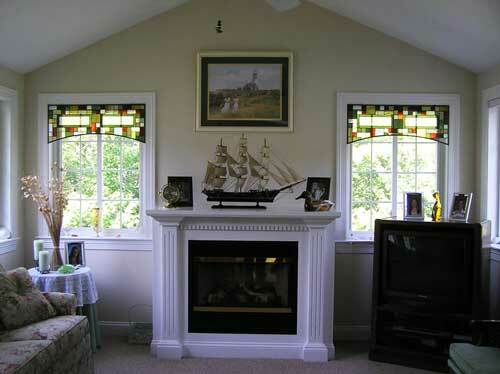 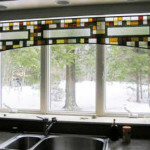 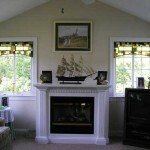 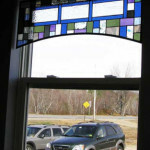 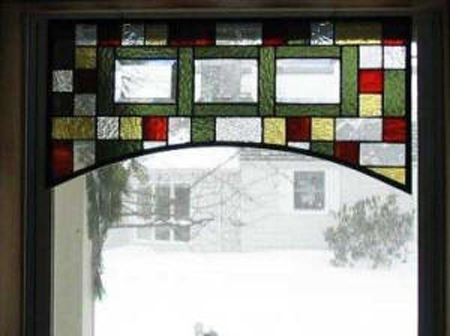 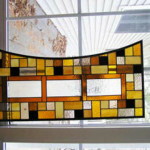 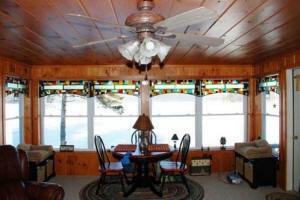 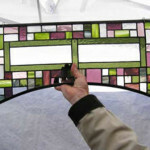 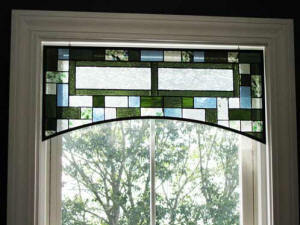 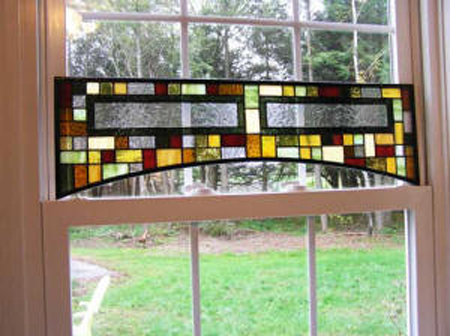 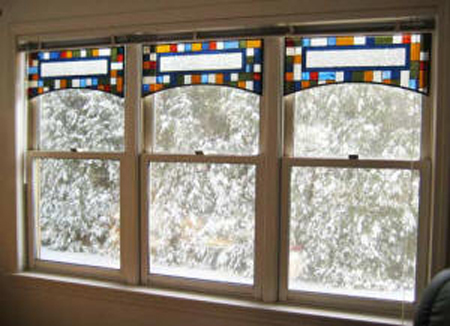 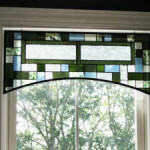 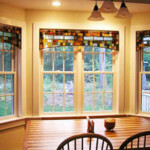 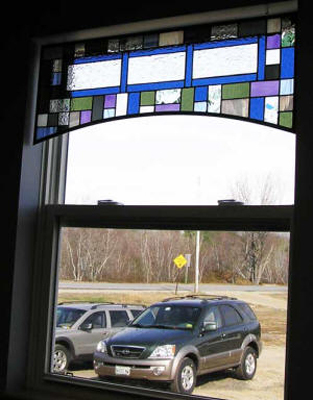 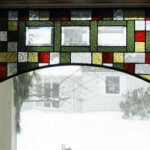 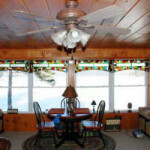 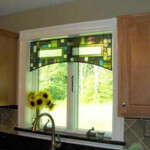 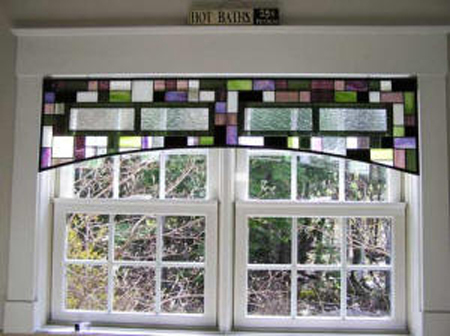 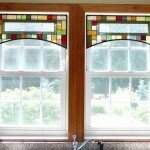 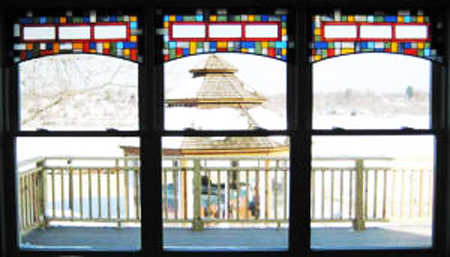 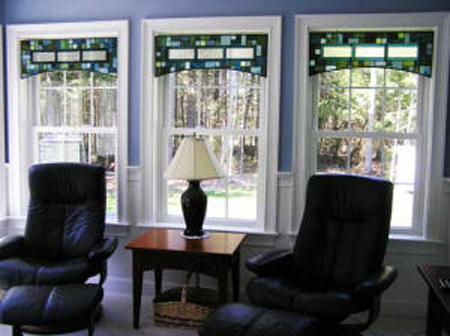 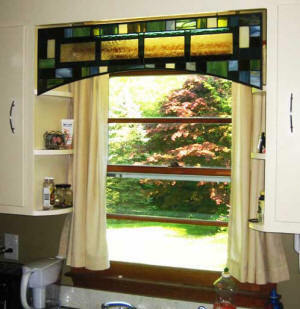 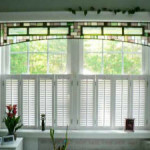 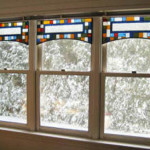 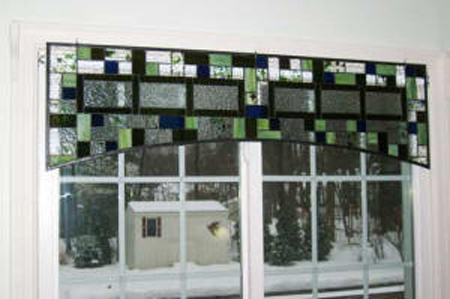 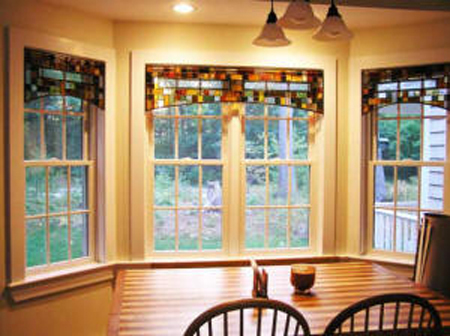 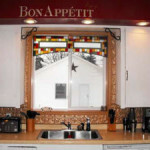 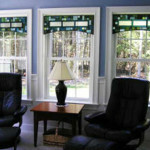 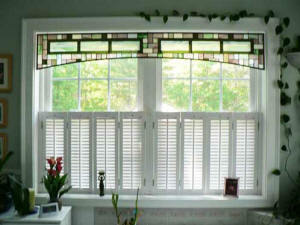 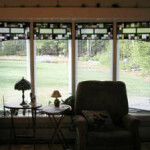 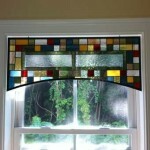 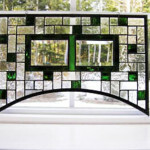 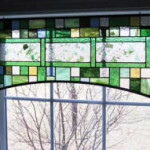 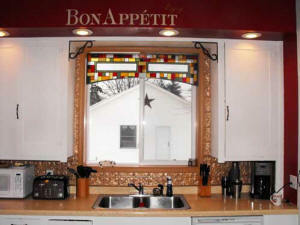 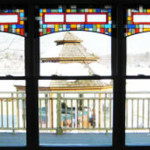 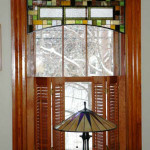 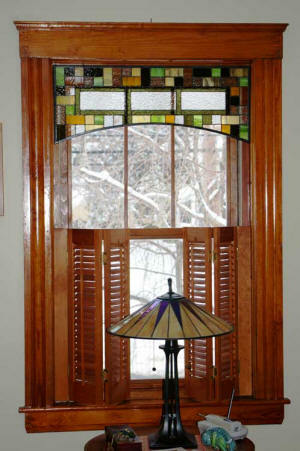 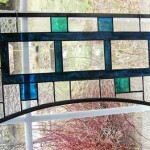 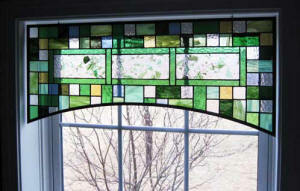 Noah’s Arc was our first stained glass valance design and it continues to be one of our most popular. 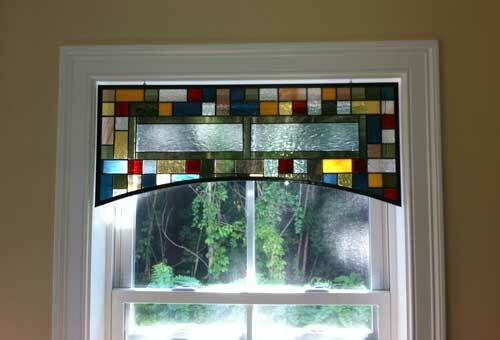 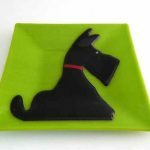 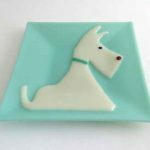 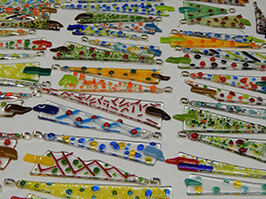 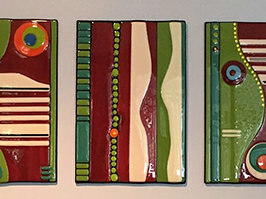 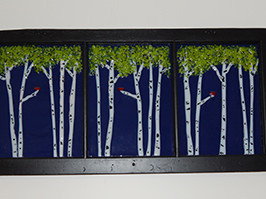 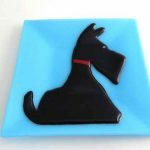 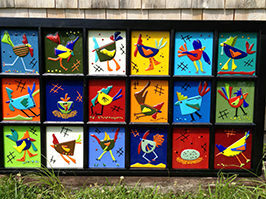 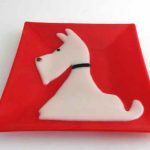 The simplicity of the design keeps it affordable and allows one to have fun with color! 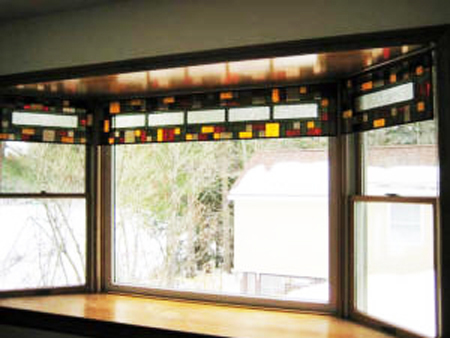 When you select a mixed palette of colors for your valance, it allows you to repaint the room a different color at some point in the future without feeling compelled to change the valance. 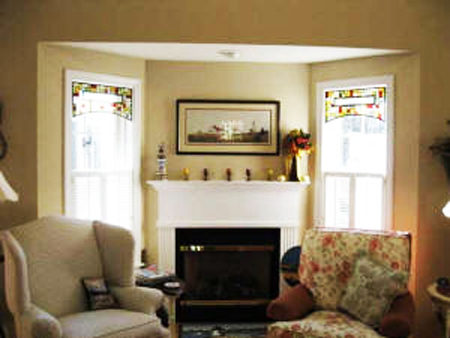 The new room color will make the valance appear different because the new room color will appear to feature a different color within the valance.